It happens every day when the sun comes up: light transforms our world. And if you think about it, a similar phenomenon happens every time you flick that light switch on. But that’s actually part of the problem when it comes to our lighting—most of us don’t think about it. Why is that a problem? Because whether you realize it or not, the nature of the lighting around you affects everything from your electric bill to your productivity to the intensity of your emotions. If you want more control over such a powerful force, the first step is to just start thinking more about your interior lighting. The following insights can help prime your mind—and your eyes—to begin seeing the light. So maybe you’re just not satisfied with your current lighting. Before you take on a radical renovation of your home or business’s lighting system, first try a less expensive approach: take a close look at your bulbs. Are they appropriate for the space’s use and the ambiance you’re trying to establish? For example, a clear 75-watt bulb—in which the filament is fully visible—might be good for an expansive, open-plan factory. But even with a dimmer switch, that same bulb may be way too intense for, say, a dining room. In that case, the softness of a frosted 45-watt bulb might be perfect to enhance an intimate dining experience—and still provide ample light to note the vibrant colors in that salad. The moral here? Don’t be afraid to experiment with different bulbs. You might just be amazed by what you discover. The kitchen is the heart of the typical American home today. And yet despite its lofty significance, the kitchen is a notoriously under-lit room, made even worse by the current trend of dark countertop and cabinet finishes. This is especially unfortunate because the kitchen is the ideal place for workspace lighting. So instead of relying solely on the main overhead ceiling lights, consider adding lighting options for specific areas used within the kitchen: think under-cabinet and above-the-sink lighting or lighting pendants that hang directly above the kitchen island or breakfast bar. With workspace lighting, you can turn on what you need, leave off what you don’t, create a desired mood, and get more enjoyment from your kitchen. When it comes to a space that you spend a major portion of your life in, the design choices you make – all those things that create atmosphere – have a tremendous influence on how you feel. Married to the light: how flexible is that space? You may not be able to predict the future, but you can probably gauge which spaces in your home or business won’t change in use, such as the hallways or the restrooms. 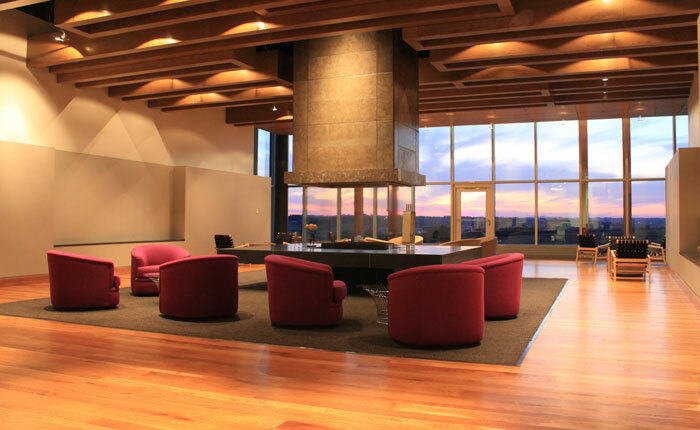 These are where you can more comfortably go for it in terms of lighting installations. On the other hand, some spaces may change in use, a lot. You can think about it like this: Before you insist on having an expensive candelabra chandelier installed above that immaculate dining room table, ask yourself, Is this table always going to be here? On a related note, remember to also take advantage of table and floor lamps. Yes, they can provide decorative accents to a room. But they can also be incredibly useful—and they’re portable. Should you ever decide to turn that reading nook into a game room, unplugging a lamp is a lot easier than tearing out a lighting system. Like so many other aspects of our life, new technology is revolutionizing lighting. Take LEDs for example. Though more expensive than conventional incandescent bulbs, LED bulbs will quickly pay for themselves because they’re not only more energy-efficient—they last a lot longer. But these benefits are just the beginning of LEDs’ astounding capabilities. LEDs are pushing the boundaries of lighting thanks to their compact size, durability, low-heat, and ability to emit a more focused beam of light. To put it simply, almost anything can now be lit safely, efficiently—and beautifully. For interior spaces, that can mean furniture, plumbing, stairs and railings, countertops, and even carpeting. In other words, LEDs allow you to take creative lighting to a whole new level. Feeling overwhelmed by the vast lighting options available today? Consult with a reputable interior designer. They’ll likely have the knowledge to help you select the appropriate lighting and lighting plan for your space, no matter its size. Lighting is an amazing technology. And with a little effort, you can get a lot more out of it.